If you’re not changing, you’re dying. — Change is inevitable. — The only constant is change. — Don’t look at change as a necessary evil but as an opportunity for growth. — If you change nothing, nothing will change. You’ve heard and read all the clichés and catchy sayings about change and how best to handle it. Most clichés have a strong element of reality in them; that’s what makes them cliché. The truth is, some people are okay with change and others become petrified of it. Chances are good that you land somewhere in between. Dealing with change can be a tricky thing. Rarely does dramatic, life-altering change come out of the blue, although it can and does happen. In those instances, people are more likely in need of a counselor to aid them in coping with the aftermath and upheaval of the situation. For the vast majority of us, change is more anticipated and expected. What isn’t as anticipated is how we react to it. We often know when a promotion is coming, that the kids are moving out, that a shift at work must take place, or that it’s time to relocate. What we don’t expect are some of the emotions, attitudes, and behaviors these changes can bring to the surface. What was foreseen now catches us off guard. It is very similar to the reactions we have when someone close to us leaves this life after a long illness. We knew the day was coming, we even prepared for it, but now that it’s here, it is much more challenging than first believed. Change affects all of us differently and each of us has a different reaction and expectation of ourselves during the process. At times, a coach can be a tremendous asset in helping you maneaver through the fog created until you can see things in a much clearer light. Change can make things messy, confusing, and hazy. Coaching helps you become proactive in embracing the change and making it as positive an experience as possible. Change is a necessary part of reaching your potential. Then there are those times when you recognize that a change needs to happen. Such as in the case of determining to move forward toward your goals and potential. Certainly, knowing where you want to go is a big part of getting there. But no map can help you if you don’t first know and understand where you are now. Only then can you begin to chart a route to where you want to be. A coach can save you enormous amounts of time, energy, money, and heartache by helping you identify things you might miss on your own. A coach is there is to go through the journey with you, partnering with you to help you become who you want to be. 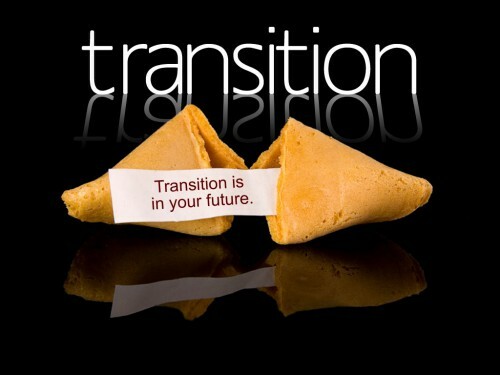 The long and short of it is this: You are going through change and transitioning – voluntarily or kicking and screaming – because life is going to be different on the other side. My goal is to help get you where you want and need to be in the most positive and productive way possible. See it as an adventure…saddle up your horses, we’ve got a trail to blaze!